CLOSEOUTS. 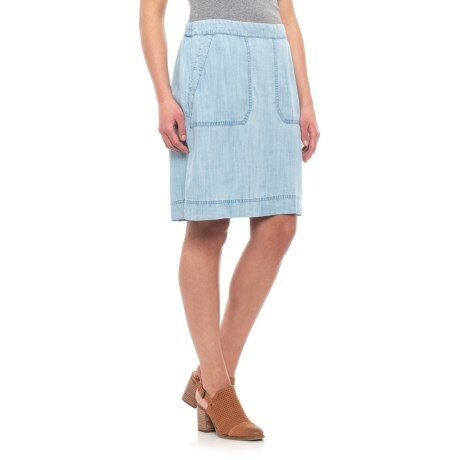 This Foxcroft Candice skirt is a warm-weather hit in TENCELand#174;, and pairs easily with tees, tanks and button-down shirts. Available Colors: BLUEWASH. Sizes: S, M, L, XL.